Jinggong has been for years supplying our angle plates worldwide to customers in the USA, Europe, Canada, Australia, the Middle East, etc. These angle plates are used as a workholding device to clamp and hold workpieces in the vertical position and as a vertical reference for inspection and tooling purposes in workshop machining processes such as shaping, planing, boring, milling, grinding and drilling, etc. They are also used to clamp motors, engines, transmissions etc. to carry out the assembly, tests, or inspections. Especially they are widely used to clamp workpiece on horizontal boring mills. 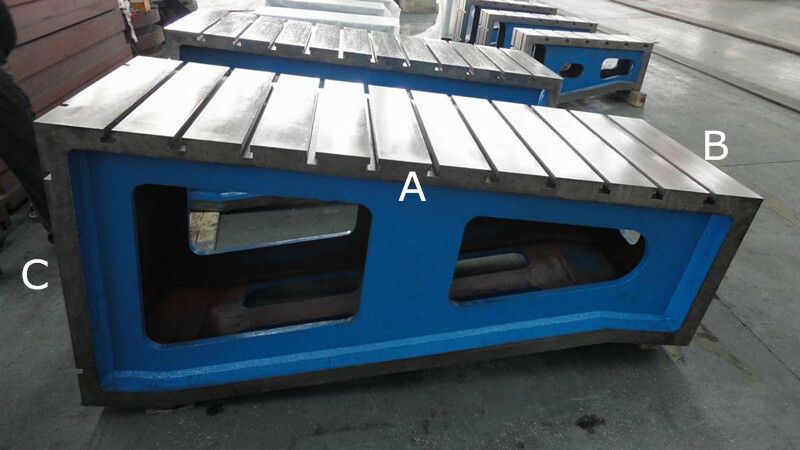 The types of angle plates are available as being T-slotted, elongated-hole-slotted and plain. The designs of these angle plates are always customized as per the actual applications. T-slots as per DIN650 specifications or other types of slots defined by customers, can be machined on these angle plates. The flatness accuracy machined to DIN876 specifications or specified by customers. Our standard angle plates range from sizes of 100 x 150 mm to 3500 x 1500 mm. You can select the size and number of T-grooves. We also produce many other sizes with T-grooves and surface finishes to your requirements.